The Democratic Society have published a new report which provides a summary of learning around digital PB in Scotland since 2016. The Democratic Society has produced a new podcast explore digital participatory budgeting processes from across the country. 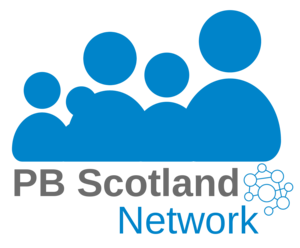 Learn more about the meeting of the first ever PB Digital Development Group organised by the Democratic Society Scotland. Thousands of pounds of funding has been given out to youth projects in North Ayrshire as part of Scotland’s largest ever online participatory budgeting exercise. These case studies by Demsoc capture key learning points from Scotland's early exploration of digital tools to support participatory processes at a local level. This publication from Demsoc presents the findings of a research project into the use of digital tools to support Participatory Budgeting (PB), in the context of the requirements of local councils in Scotland. In 2015 the Scottish Government commissioned the Democratic Society to investigate options for PB digital tools. The report Digital Tools and Scotland's Participatory Budgeting Programme is now available.